Along with representatives from the Roland team, the printer manufacturer also invited some Roland users to see how their craft is celebrated. Among them were members of the Mission Motorsport team, a charity that exists to help injured ex-servicemen ‘race, retrain and recover’ by getting involved with all aspects of motorsport, from engineering to vehicle livery. Aside from being nominated for the 2018 Vehicle Graphics of the Year award, their now-famous ‘Poppy Car’ was on display in front of the Athena. 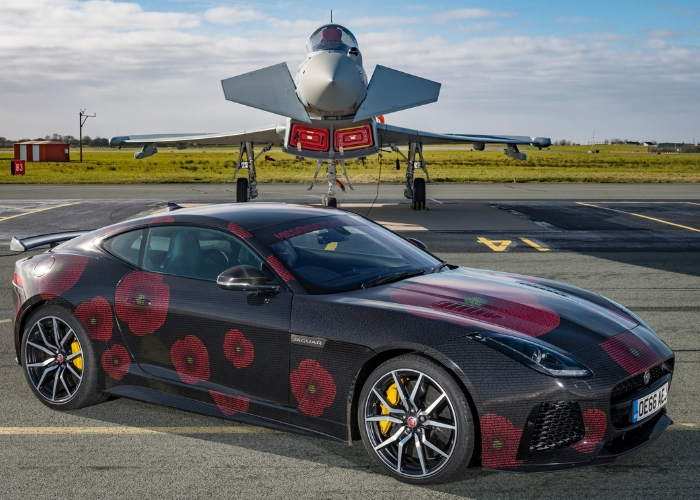 The Jaguar F-Type SVR was wrapped with a reflective vinyl featuring a poppy design that incorporates the words of John McCrae’s Poem ‘In Flanders Fields’. This was all made possible using Roland DG’s wide format printer, the TrueVIS SG-540. More details about the wrap project can be found on the Roland DG website. Roland were also joined by Joe McNamara, Head of Graphics for Renault Sport Formula One™ Team and Alex Liggett, owner of The Vinyl Guys. Although the businesses differ in terms of size, they both benefit from the capabilities of Roland’s TrueVIS range of printer/cutters, allowing them to create vehicle graphics, signage and promotional material with equal ease. Roland DG also sponsored the 2018 Young Signmaker of the Year award, which went to Marc Kisko of Reade Signs in Aldershot. 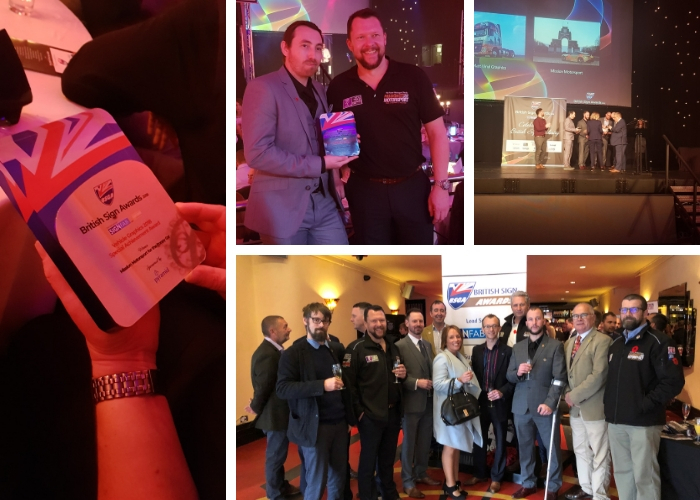 The award was presented by Roland’s UK and Ireland Head of Sales, Rob Goleniowski (who maintained his composure despite sharing the stage with snooker legend, Steve Davis, the awards’ host).